This week I was trying to release a new section of the blog. But I didn’t finish it. I have been working on the new page but sometimes I get distracted by tweets by someone we all know. Then I read articles of about the tweets. Then the comments section on the articles about the tweets. Then I watch Sunday news shows analyzing the tweets. This all takes too long. I am in a 140 character induced personal-time death spiral. I will have the new section done next week. I promise. It will be huge. Beautiful. Instead of something new, I have something old. 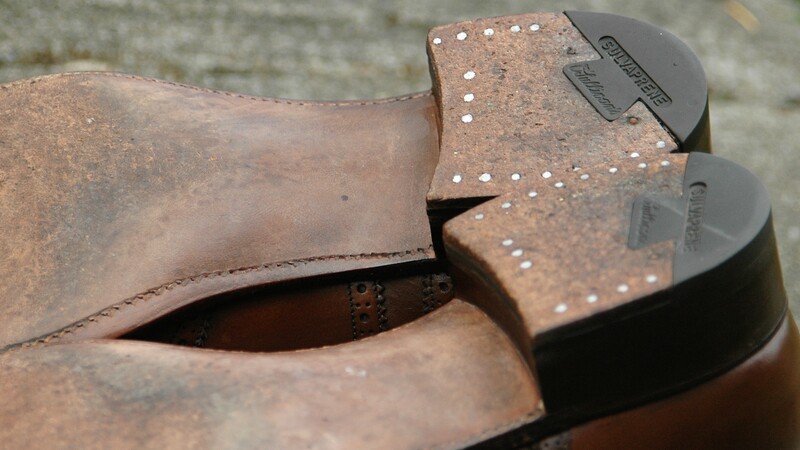 Vintage Nettleton wingtips that were likely made in the late 1960s or 1970s. 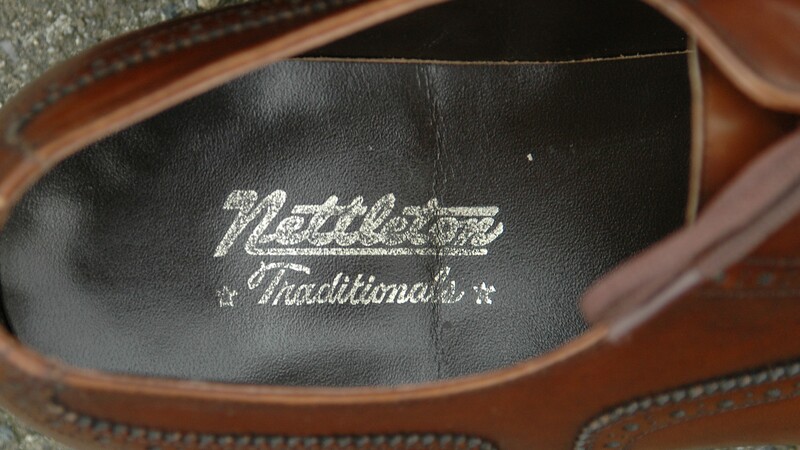 Nettleton was a shoe manufacturer based in Syracuse, New York and was once one the premier manufacturers of shoes in the United States. Their slogon was “The Slowest Made Shoes in America“. “Slowest” probably didn’t help their bottom line and the company and brand ping-ponged through various owners before closing in 1990. 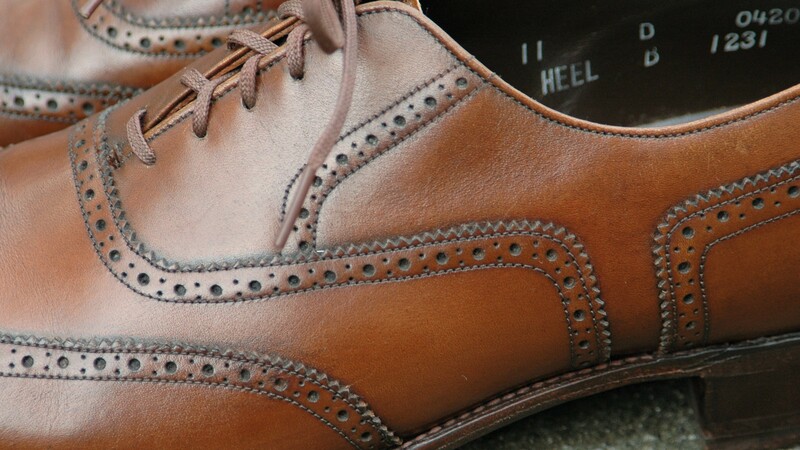 I bought these wingtips on eBay a few years ago. 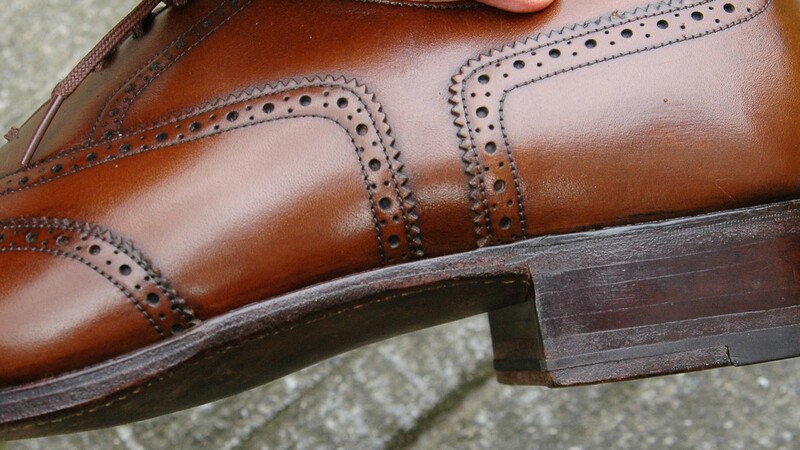 What was unexpected when they arrived was the height of the heel – about 1.5″. Bigly. 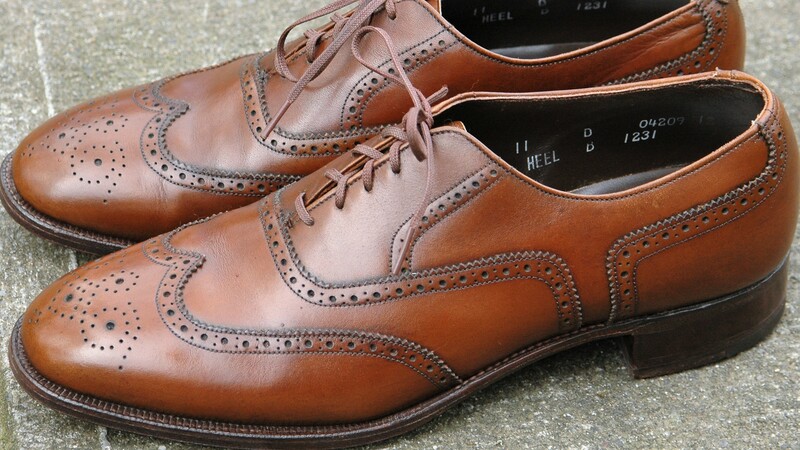 They tower over my Allen Edmonds Park Avenues. The height of the heel is what makes me believe they are from the 1970s era. I wore the shoes around one day and it felt like I was wearing women’s high heels. Not what I was expecting. I can’t say I enjoyed it. I am already tall but the shoes made me feel like Swen Nater. They went into David’s museum after that. They were too small as well. 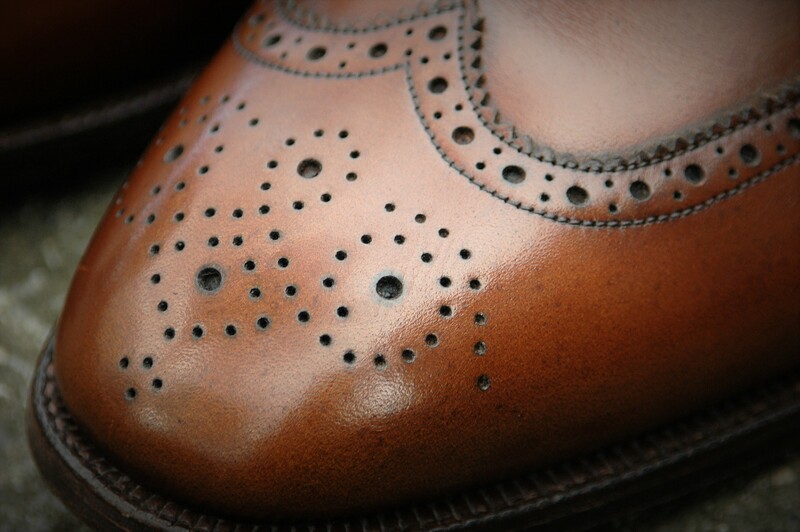 Another surprise with the shoes was the beveled sole or waist. 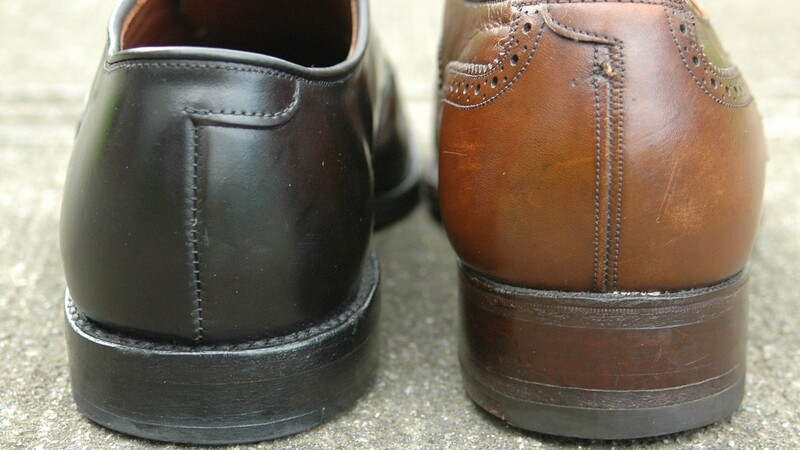 It’s a very uncommon feature in American vintage shoes but you see it quite often in modern, higher end European shoes. Its difficult to see in the photos but this one shows the height of the bevel. 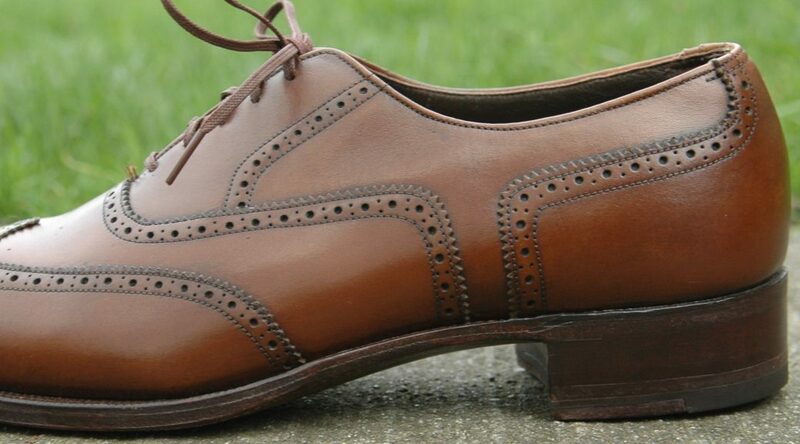 The shoes are from Nettleton’s Traditionals line and are fully leather lined and have a 3/4 goodyear welt. The leather quality is excellent. Next week, I should have the new section up. Unless I don’t. And if I don’t, you know the reason.